The victory was against Tottenham. 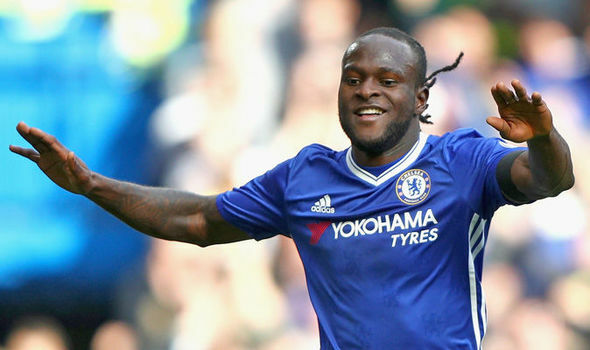 A Victor Moses strike in the second half gave Chelsea a valuable 2-1 win over Tottenham to allow the home team retake top spot in the Premier League standings. Looking at the stats from two minutes from the break, it would suggest that Tottenham were huge value for their 1-0 lead courtesy of Christian Eriksen’s long-range effort. But the home side turned it on when needed, striking through Pedro and Moses to seal their seventh straight win. No one picked Pedro out with a minute to go in the first half, as he received the ball just outside the penalty area in acres of space. The Spanish winger made a swift turn before curling a beuaty past Hugo Lloris’ outstretched palm. In the 51st minute, Costa held the ball up on the left, beat his man and played a teasing cross to the far post, and Moses made the gut-busting 60-yard rush to be in the right place at the right time to put Chelsea ahead. Tottenham’s defeat at the Stamford bridge means they still occupy the fifth spot on the table.